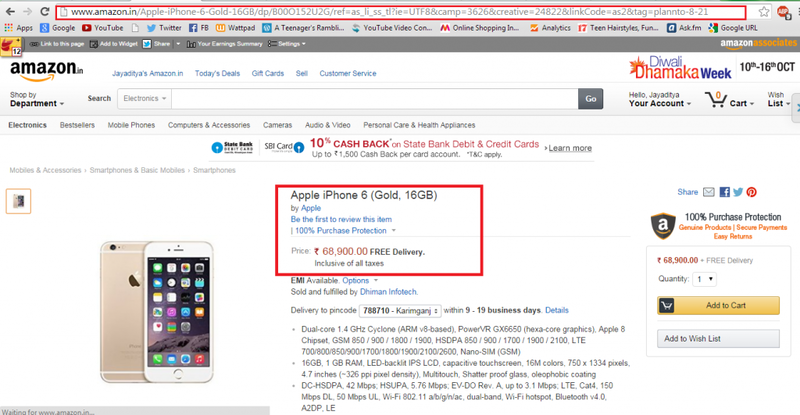 The iPhone 6, which was supposed to be launch on October 17 in India has been spotted on the e-commerce website Amazon.in which is showing the price of the iPhone 6 Gold 16 GB variant as Rs. 68,900. We took a look at the page carefully and went through the whole page. There is mentioned that the seller is Apple and the product seems to be genuine. The page displays an Apple iPhone Gold 16 GB variant, which looks slightly overpriced after what we guessed about the price of iPhone 6 and 6 Plus. Here is the screenshot of the page we found out on Amazon.in. The specifications of the phone is accurate and not different from the official specs announced. 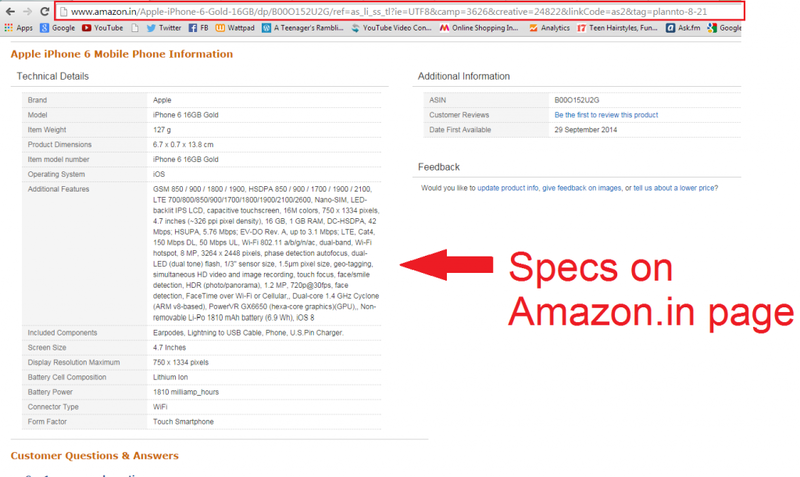 We have also taken a screenshot of the iPhone 6 specs provided on the Amazon.in page. Below is the screenshot of the page where you can clearly see the specs of the leaked iPhone 6. So, all the info we saw looks authentic. Moreover, you can also see the SBI Cash Back offer on Amazon. The specifications show the latest A8 chip on-board, and all the specs exactly same. On the right side of the specs, you can also see that the product was first available on Sep 29th, 2014. Adding all these, it is very clear that it is a genuine information and the most shocking thing is that Amazon revealed the price before the official iPhone 6 launch in India.